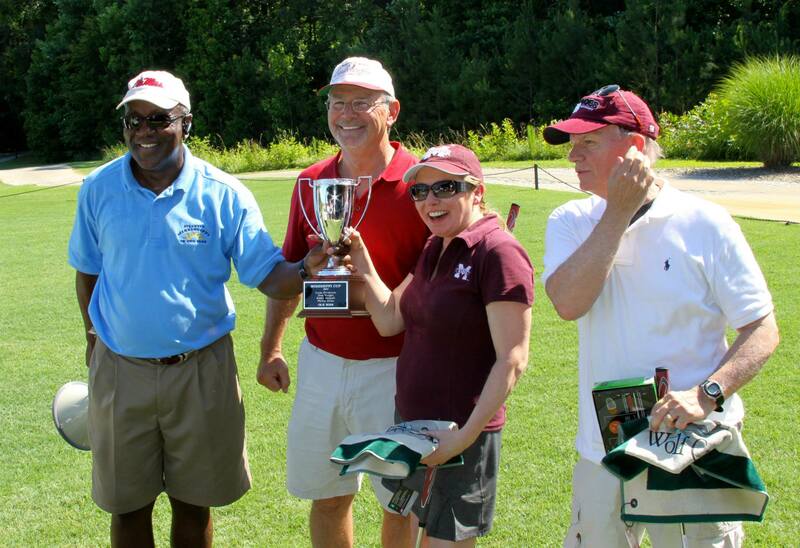 Inaugural Mississippi Celebrity & Alumni Golf Tournament a hit! As part of the Mississippi Weekend in Georgia 2013, the 1st Annual Mississippi Society of Georgia Celebrity & Alumni Golf Tournament took place at Wolf Creek Golf Club on June 14, 2013. We had 72 golfers and raised over $8,500 in scholarship funds toward Mississippi colleges. Check distributions were sent to Ole Miss, MIssissippi State, Delta State, Jackson State, & Millsaps. Thank you to our generous golf tournament sponsors including Q Solutions, Ruth's Chris, Atlantic Invesment Company, Kids R Kids, & Lazy Magnolia!